During the presentation I promised to upload the powerpoint and the project comments family. Here is a link that includes both of them. If you have questions about either, please post them in the forums and I will try to answer them. This month's LARUG will again be hosted by & at RTKL's beautiful Downtown office, with special help by LARUG Leadership Consortium's own Joe Mendez (Thanks Joe!!!)... Is he & RTKL awesome, or what!!! YES. So, what are we up to @LARUG in May? Well, getting ready for #RTCAUS and #RTCUSA so you can plan on seeing more of what we will be sharing at those awesome conferences... You will still want to go to the RTC's since we cannot do all of the classes though!!! As you may know we are continually focused on helping make Los Angeles a leader in Revit & BIM, by bringing the best possible learning content for FREE!!! This month's LARUG will be hosted by & at RTKL's beautiful Downtown office, with special help by LARUG Leadership Consortium's Joe Mendez (Thanks Joe!!!). So, what are we up to @LARUG in April? Well, the time is nearing for #RTCAUS and #RTCUSA so you can plan on these next few LARUG meetings to include parts of what we will be sharing at those awesome conferences... You will still want to go to the RTC's since we cannot do all of the classes though!!! Well free to you, due to our great sponsors: Microdesk, UsCad & Kelar Pacific, who we thank for their continued support!!! Also of note this month LARUG President Jay Zallan, another proud #BIMmodelingFluffyKittenKillas-LA, penned an article including Every Revit Tip in the World (No S#! *) so hit the link to download it if you haven't already. See you @TITANAEC Headquarters, Wednesday April 24th at 6pm, for a timely Scott D Davis presentation... join us via This Meetup Link. + Got BIM Balls??? 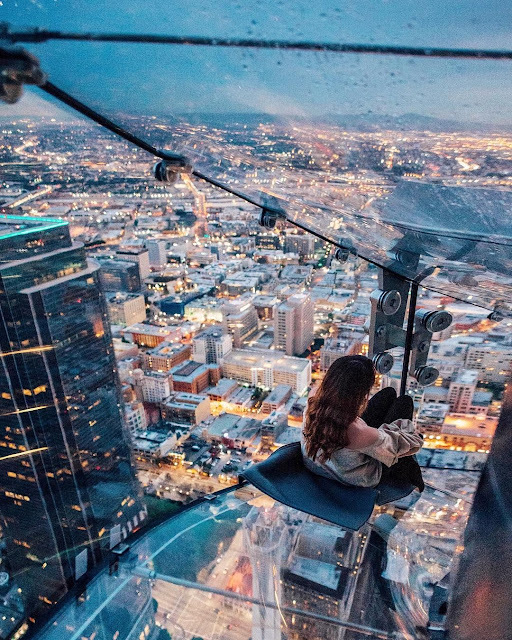 Ride the OUE SkySpace exterior glass slide while there!!! Revit Users from Los Angeles getting together to advance each other's knowledge of Revit.